Being one of the most environmentally-friendly alternative fuels in India, Compressed Natural Gas (CNG) is becoming more and more popular these days. 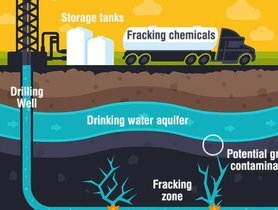 The Indian government, in an effort to deal with the serious pollution in many cities, has encouraged the use of this type of fuel throughout the nation. 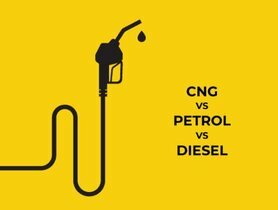 CNG kits fitted by factories are now being offered by numerous auto manufacturers as they are safer than aftermarket units. This article is going to provide you with a list of seven most popular reasonably-priced CNG vehicles in India. Maruti Suzuki, which has been dominating the segment for quite some time now, offers up to 5 models in this list while Ford and Hyundai one for each. 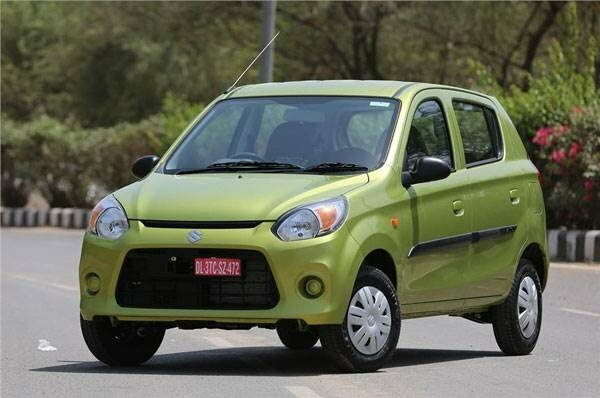 The first one in the list of affordable CNG cars in India is the Maruti Alto, which is the entry-level vehicle of Maruti Suzuki. The CNG kit is available in two trims: the LXi, which is priced at INR 3.84 lakh and the LXi (O), which is priced at INR 3.9 lakh. Like other normal variants, the Alto CNG ones receive its power from a 0.8-litre petrol motor which can deliver a maximum power of 47 PS at 6,000 rpm and a peak torque of 60 Nm at 3,500 rpm. The transmission duties are undertaken by a 5-speed MT gearbox. Its mileage is claimed to be 33.44 km/kg. The Alto 800 CNG is equipped with a wide range of advanced features which include an intelligent injection setup, a dual independent ECU and a microswitch which prevents the vehicle from starting during refilling. Other outstanding interior features include electric front windows, power steering, manual air conditioner, child safety locks etc. The Maruti Alto 800 CNG is powered by a 0.8-litre petrol motor. Even the K10 appears in our list of affordable CNG cars in India. The largest Indian automaker offers the Alto K10 CNG versions in two trims: the LXi at INR 3.72 lakh and the LXi (O) at INR 4.39 lakh. 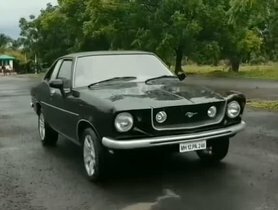 Under the hood of these two variants is a 1.0-litre K-Series motor which is good for 59 PS at 6,000 rpm against 78 Nm at 3,500 rpm and is coupled with a 5-speed MT gearbox. The fuel efficiency figure of this hatchback is 32.26 km/kg. 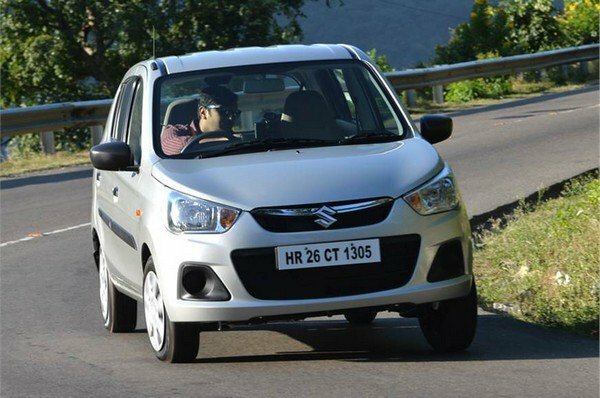 Besides, the Alto K10 is also available with a petrol motor and an optional AMT gearbox. The Maruti Alto K10 is replete with a list of features including high-positioned stop lamps, outside mirrors, power steering, driver side airbag, manual air conditioner, seatbelt for all passengers, child lock and disc brakes in the front, etc. The Maruti Alto K10 CNG is equipped with some features including outside mirrors, manual AC, seatbelt for all passengers, etc. 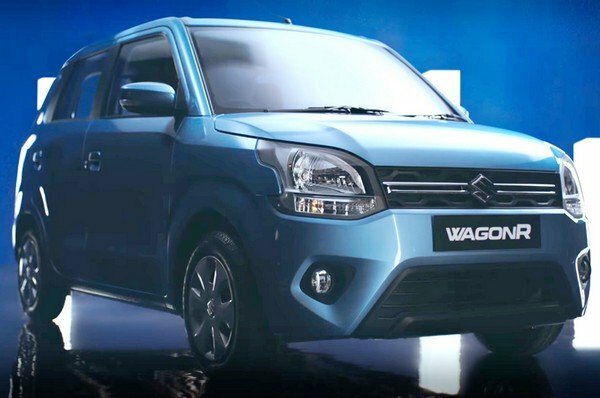 The new-gen Wagon R was introduced in January this year with two variants available with a CNG kit which are the base LXi at INR 4.94 lakh and the LXi (O) at INR 4.99 lakh. The Maruti Wagon R shares the 1.0L K-Series engine with the Alto K10 with the same power/torque output. The transmission duties on these variants are also implemented by a 5-speed MT gearbox. The engine delivers a claimed fuel efficiency of 33.54 km per kg. 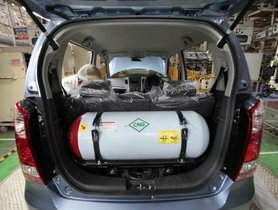 The Wagon R CNG is well-equipped with a wide range of features like front and rear electric windows, modern MID, reclining seats in the front, 1-litre bottle holder, two airbags, seatbelt alert, rear parking sensors, manual air conditioner, etc. The new-gen Maruti Wagon R CNG is well-equipped with a wide range of top-notch features. Even the next model in our list of affordable CNG cars in India comes from Maruti Suzuki. 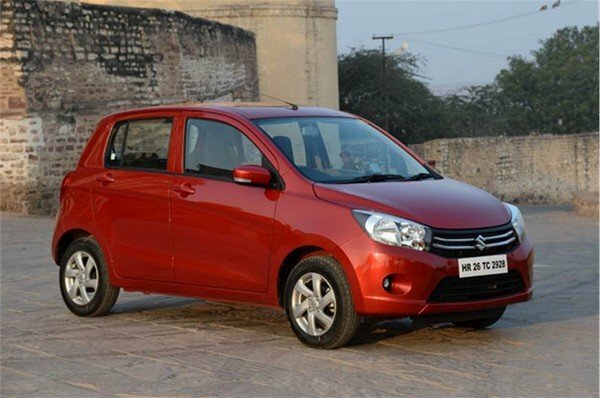 The Maruti Celerio is available with a CNG kit in two of its trims: the VXi at INR 5.31 lakh and the VXi (O) at INR 5.43 lakh. Like the two previous vehicles, the Maruti Celerio CNG is powered by a 1.0-litre K-Series motor with a power/torque output of 59 PS/78 Nm. The power is sent to the wheels through a 5-speed MT gearbox. The claimed mileage is 31.76 km/kg. The CNG variants are replete with a wide array of features such as power steering, central lock, two airbags, ABS with EBD, front seatbelt with force limiters and pre-tensioners, etc. Maruti Celerio CNG shares the same 1.0-litre K-Series motor with the two previous models. The last Maruti representative in this list is the Maruti Eeco, which is, notably the only model in its segment to be available with CNG equipped right from the plant. The Ecco CNG is powered by a 1.2L petrol motor which can churn out 64 PS against 83 Nm and is paired to a 5-speed MT unit with a claimed mileage of 20 km/kg. 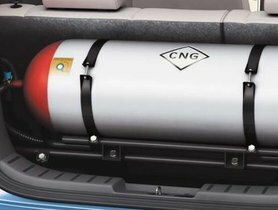 CNG kit is only fitted to the base variant which has a price of INR 3.74 lakh and does not get many outstanding features. 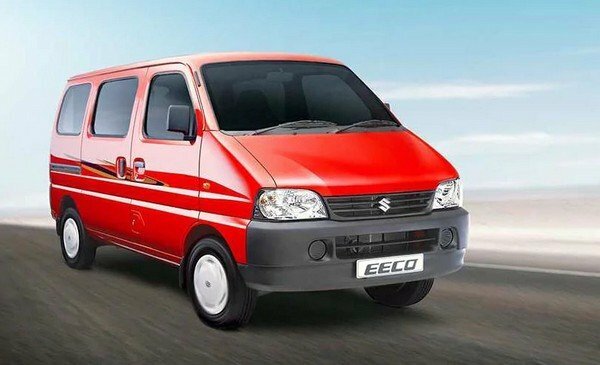 The new model of the Eeco is being developed by Maruti and will go on sale at a later stage. Being popular among fleet customers, the Eeco is one of the top-selling products from Maruti in India. The Maruti Eeco is the only vehicle in its segment to be fitted with a CNG kit at the factory. The only Hyundai model in our list of affordable CNG cars in India is the second-gen Hyundai Santro. 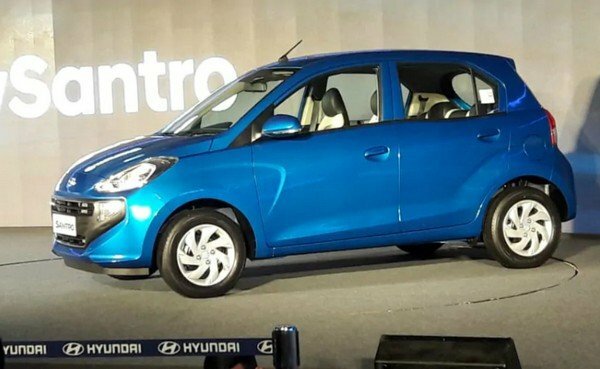 Launched in India last year, the Hyundai Santro is available with the CNG kit in Magna and Sportz mid-spec variants, which are priced at INR 5.34 lakh and INR 5.65 lakh, respectively. The vehicle receives the power from a 1.1-litre 4-cylinder motor which is good for 59 PS against 84 Nm and is mated to a 5-speed MT gearbox. The fuel efficiency is claimed to be 30.5 km per kg. Like some of the Maruti’s CNG vehicles, the Santro CNG gets Dal ECU which helps ensure its impressive efficiency and performance. Furthermore, it also comes with microswitch and matrix injector, which makes the vehicle even safer. The vehicle is packed with a host of features consisting of a new cascading grille with wide fog lamps, angular headlamps, 14-inch steel wheels and short taillights in the exterior and a 7-inch touchscreen infotainment setup, rear AC vents, ABS with EBD, rear parking sensors, etc. The Hyundai Santro CNG is powered by a 1.1-litre 4-cylinder petrol motor. Introduced in February 2019, the Ford Figo Aspire CNG is available in two variants: Ambiente and Trend Plus, which have a price of INR 6.27 lakh and INR 7.12 lakh, respectively. Supplied by Lovato, the CNG kit for the Aspire can be equipped at Ford dealers. The segment-leading ‘suspension type cylinder fitment’ is equipped on the Aspire to prevent the boot reduction. 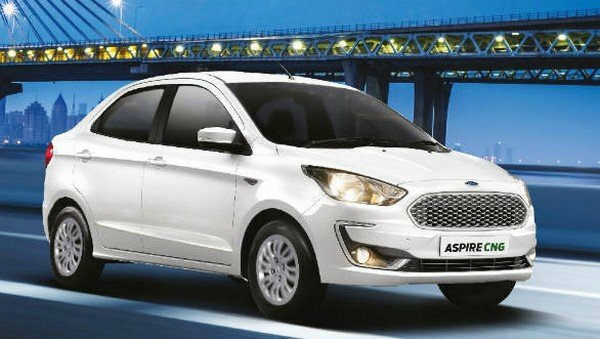 The Aspire CNG’s motor is a 1.2-litre petrol unit, the same as the regular model, which can generate 96 PS against 120 Nm. The transmission duties are undertaken by a 5-speed MT gearbox. A service is required for the CNG kit every two years or 20,000 km. The updated Aspire is the last car in our list of affordable CNG cars in India. The Ford Aspire CNG was introduced in February 2019. Above is a list of seven most popular CNG-powered vehicles in India. CNG vehicles can be a perfect alternative to regular ICE ones, thanks to their environmentally-friendly nature. After reading the article, have you chosen one suitable one for yourself? Share with us in the comment section below. 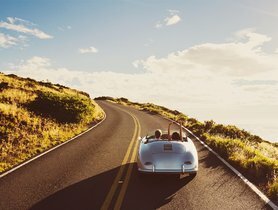 How To Maintain Your CNG Cars in Best Conditions?